NEW! A modern-classic skating dress! This stunning competition ice skate dress has an asymmetrical bodice, beautiful keyhole back, and long mesh sleeves with fingerpoints. You will love this handkerchief style, mesh skating skirt. This skirt flows while you skate. It's the perfect ice skating dress for romantic, elegant, or classic music. If you select the crystal package, you will get the crystals as shown: AB crystals in size 34ss and 20ss are scattered in a cascade effect down the bodice. Ice skating dress shown in navy. 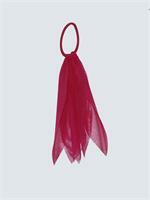 Also available in burgundy, and black. Want a different color? Simply choose 'custom colors' from the drop down menu, then pick your own color from our optional color choices below. Optional color are available on all of our ice skating dresses. 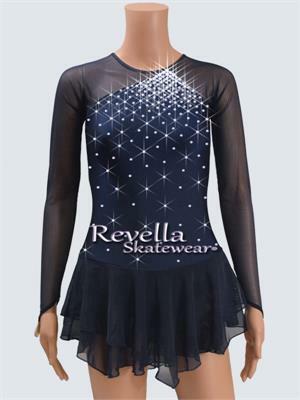 Search terms: long sleeves, layered skirt, classic, competition, black ice skating dress, ice skating dresses.